Having spent 20 years in digital agencies, I have had many a conversation with developers and clients about browser compatibility. In the early days of Mosaic and Netscape, browsers were buggy for the user, limited in features and generally caused lots of sleepless nights for development teams. Of course, things have come a long way since those heady days. Nowadays there are only 4 main players, with Chrome leading the way in most territories. You may ask, “why would I bother changing browser”? With my extensions installed, passwords saved, local favourites set up, it seems rather superfluous. After all, no one likes change, right? However, browsers are becoming more bloated. Have you ever loaded your PC’s Task Manager, or your Mac’s Activity Monitor? If so, you’ll know how much RAM your browser is most likely taking up. However building and marketing a browser is a tough business. If you’re going to do it, you’ll need a point of difference to take on the likes of Google, Microsoft and Apple. Brave’s ethos is faster, safer and less intrusive browsing. It’s for surfers who value privacy, and has been built to automatically block ads, tracking pixels and cookies. Of course, stripping away ads and cookies for tracking is not what marketers and analysts want to hear. However, Brave is attempting to be the maverick in the browser world, challenging the online advertising model, providing less intrusive ones, and sharing the revenues with publishers and users. Visit a few websites with Brave, and you’ll soon see a lack of ads, and it will indeed feel surprisingly speedy. Brave even claims to have integrated HTTPS Everywhere, ensuring surfers they are always moving data “across the safest possible pipe”. 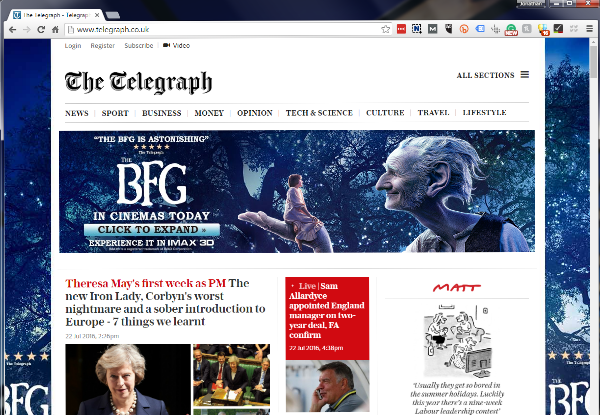 The example below demonstrates how Brave has stripped out the ads from the Telegraph. 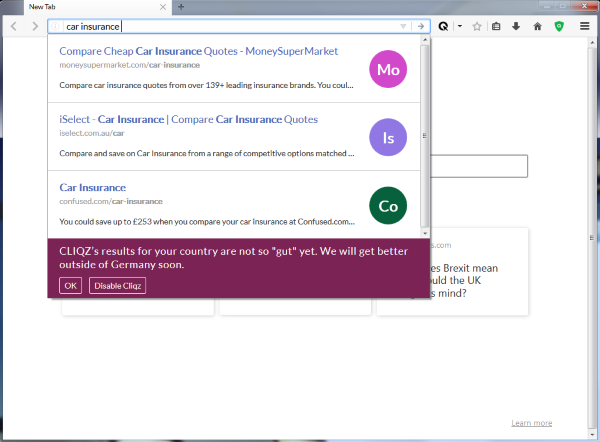 The same page displayed in Chrome, with ads clearly evident. I was pleasantly surprised by the Brave experience and am strongly considering using it as my default browser. 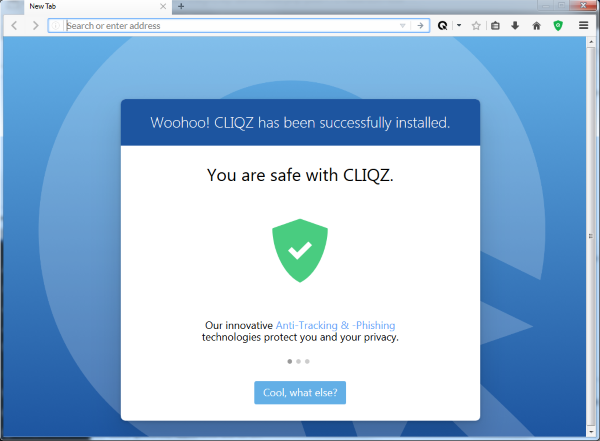 Created in Germany, CLIQZ’s ethos is to always put user experience and user privacy first, and therefore also features anti-tracking and anti-phishing functionality. “CLIQZ’s results for your country are not to “gut” yet”. We will get better outside Germany soon”. If you’d prefer to use Google, that’s easily rectified with a single click. For me CLIQZ is still work in progress, but I do believe it has the potential to go far. 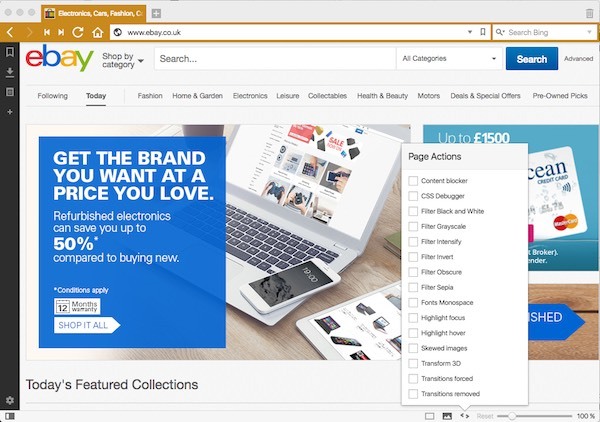 Vivaldi’s approach is a little different, as they target ‘power users’ who want to customise their browsing experience. Vivaldi has a plethora of nifty features including a large variety of custom layouts, gesture mapping, customisable keyboard shortcuts, the ability to write and save notes within the browser, simple image caching controls, advanced “page actions” for better visual control of page elements. The list goes on. 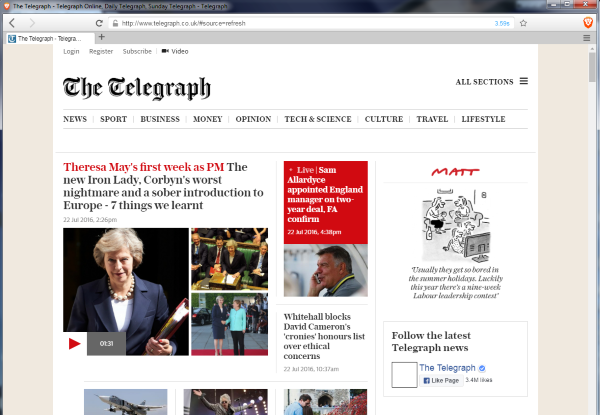 The browser also features “web panels” – allowing users to load their favourite websites on the side of the browser, effectively allowing them to see two websites side-by-side. Interestingly, Vivaldi’s default search engine is Bing, but this can be changed in the browser settings. Certainly if you’re looking for your own unique browsing experience, you’ll be impressed with Vivaldi and its features. I was! We’d be interested to hear your thoughts on any of the above browsers. Do let us know.